The Woking team incorporates in the wall of engineers several renowned signings such as Seidl, Key or Fry. They hope to fight for victories in 2020. Recount that Woking is now a continuous coming and going of people with many new faces. "But I have seen faces of illusion, not long faces, motivated people and with pride to overcome this", clarifies Carlos Sainz, who in his fifth season in the F1 must lead on the track to this historical team, which fights to remain so. 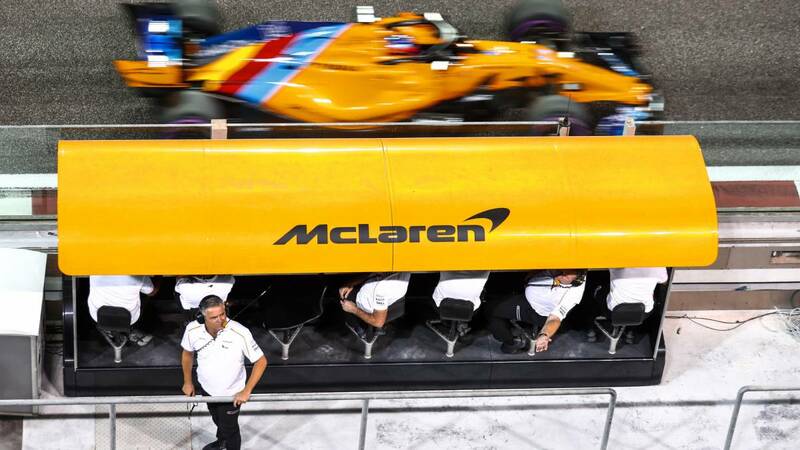 And although it sounds cliché to say that McLaren is restructured to win again, because they have been trying unsuccessfully for several years since the departure of Ron Dennis, in the 2019 season incorporates renowned signings for the engineers wall in order to be ahead in 2020 and win races in the medium term. The last to arrive is Andreas Seidl, new director of the team, after being one of the top positions of Porsche during the successful stage of the WEC. The new director of engineers is Pat Fry, old man known from Woking since 1993 and creator of the great McLaren of 2007, who returned in September from Ferrari to handle the MCL34 (presented next Thursday) with Andrea Stella, head of performance , or Peter Prodromou, responsible for aerodynamics. Simon Roberts is director of operations and Paul James, team manager. In a few months James Key will join as technical director. He could not do it before because Red Bull prevented him: he had a contract with Toro Rosso and they released him by applying a period of suspension usual in F1. Its influence will be appreciated in the car of 2020. For 2019, for now there is uncertainty waiting to see the car in the tests and Australia, but do not rule out that the new rules, with simpler aerodynamics, shake the grill. Also changes the profile of the pilots. In Sainz they have a 'veteran' of 24 years of tanning in Toro Rosso and Renault with experience to contribute in the development of the car. And Norris is one of the great promises of British motorsport, he is only 19 years old but he has excelled in F3 and F2. There is no longer a great champion like Alonso, with the media focus that implies, although the Asturian will remain linked to the team (yesterday he visited the factory) and should test the car in the pre-season tests and in summer. In this flowchart it seems diffuse the role of Gil de Ferran, former driver and current sporting director of McLaren. The Brazilian, winner of the Indy 500 in 2003, is the nexus between Zak Brown, CEO of McLaren Racing, and the structure of the F1 team. Although De Ferran will also play a key role in the IndyCar project with Bob Fernley, ex-Force India, who will lead that program to fight for the victory with Alonso in the great American oval. With 43 years, Andreas Seidl is the new director of the McLaren team, "responsible for all aspects related to the F1 racing program", the team points out. He graduated from the Technical University of Munich with a specialty in Mechanical Engineering, and returned to Formula 1 ten years after his departure: he worked with BMW Motorsport between 2000 and 2006 and also in the BMW Sauber binomial as head of track operations until 2009. Recently have been Porsche's operations director in the maximum category of the World Endurance Championship, LMP1, between 2014 and 2017, and with the 919 Hybrid the manufacturer of Stuttgart won three driver titles, three constructors and three times the 24 Hours of Le Mans Now he will relieve Éric Boullier.